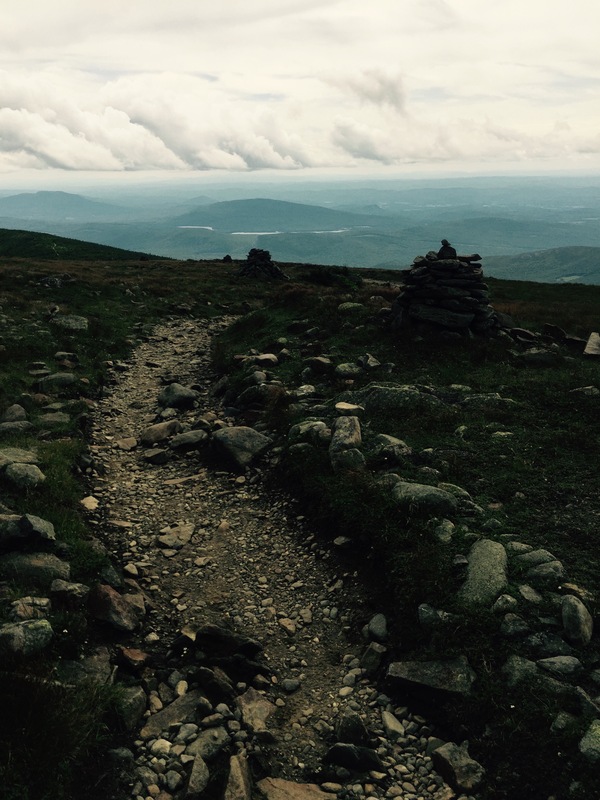 7/24/15 This was the day we finally decided to get started on climbing the 4000 footers of New Hampshire’s White Mountains. Our friend Roger invited us to go with him because he wants to climb them all and feels like he should get started before he just keeps getting older and eventually can’t do it. That’s a good reason to me too, so I’m all for it. 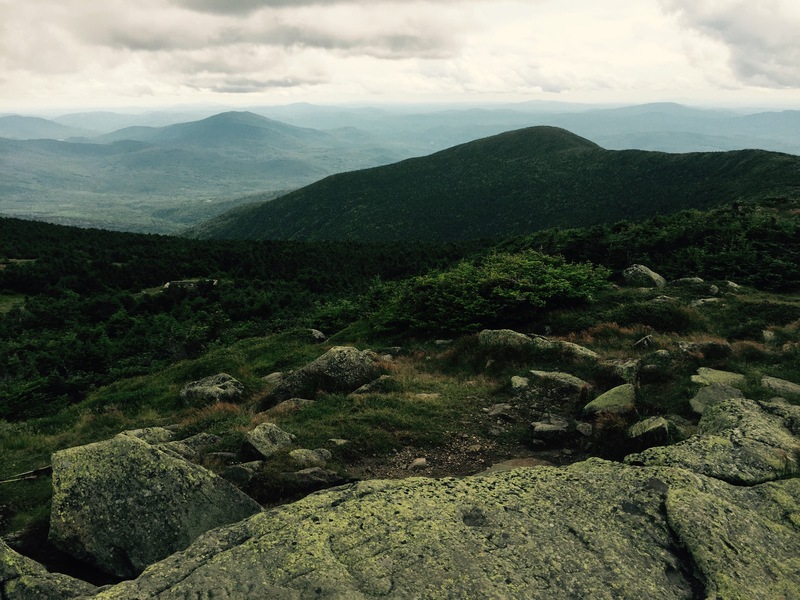 For anyone who doesn’t know, the 4000 footers of New Hampshire are all the mountains which are higher than 4000 feet. There are 48 of them, so this is no small undertaking, yet it is still a doable goal. You might wonder why anyone would want to do it, but there isn’t any particular reason other than “I can.” So, with that attitude, off we went to the first one. Mt. 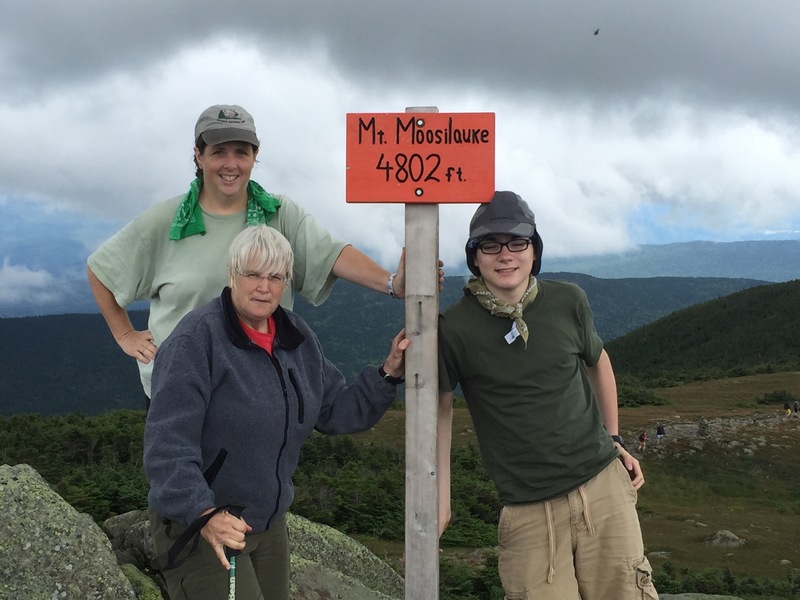 Moosilauke isn’t one of the harder mountains. In fact, many lists have it as one of the easier ones. Naturally, we didn’t take the easy trail. 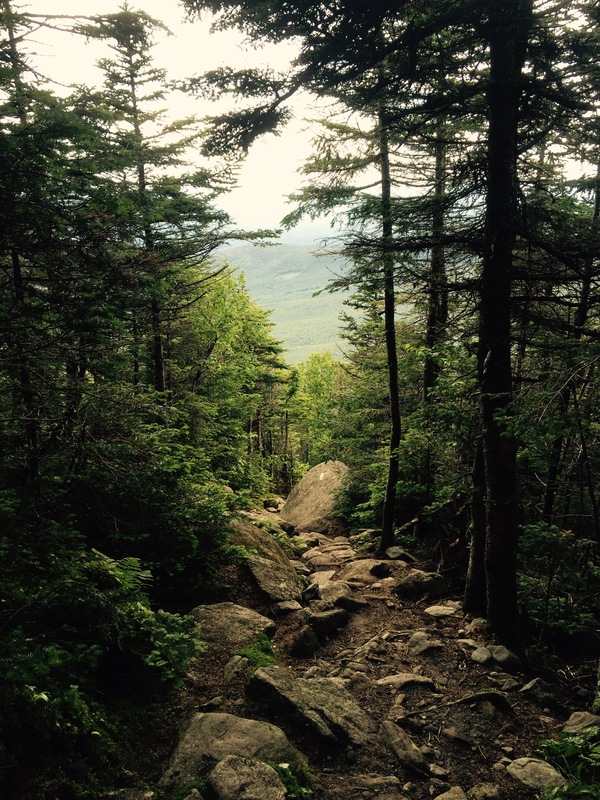 We hiked the Glencliff Trail, which is part of the AT heading up to the mountain. I was not really prepared for the steepness and rockiness of the trail, or the high temperature and humidity, so I thought I was going to die before making it to the top. By just focusing on making it for a few minutes at a time, then resting, I made it to the top. Roger and Shaun both made it an hour or so ahead of me, and Tami was 30 minutes ahead. Shaun even came back to look for me and offered to carry my pack. That was so sweet of him. After lunch and a photo op at the top, we started back down. I was much better at going downhill, but it certainly required a lot of concentration to pick our way through the rocks to get to the bottom. Shaun went ahead since he hikes faster than any of the rest of us. One time we caught up to him sitting in the middle of the trail reading his book while he waited for us to come along. He stayed there a few minutes more after we passed him, but he caught right up and got back to the car first. Overall, it was a good day and a good hike.